5-23-2012::Show No.47 - What is Mr. Right? Jerome gets into a little gun gear; AJ talks about 2 great carbines on opposite ends of the spectrum and then he and I talk about what we would want in the perfect handgun (and argue a little over revolvers vs. semi's, for good measure). We are now taking calls and Skypes during the show. The chatroom was all a buzz as Mark Vanderberg was busy giving away freebies for his birthday! Join us live on the next show! Heard you describing an ideal carry semi-auto and just wanted to let you know that there is one that meets your specs. 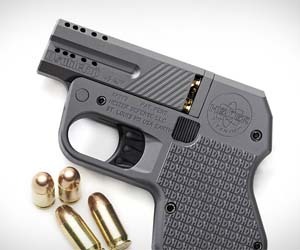 A compact .45ACP with a double action trigger. It comes from a quality manufacturer at a reasonable price. It is the Sig P250. I bought 3 pistols and an exchange kit from a guy who decided that he didn't like the trigger. It is like the smoothest double action revolver trigger you ever fired. Since I am a long time revolver shooter, it doesn't bother me. In case you don't know, there is a module inside with the trigger and hammer that can assembled into a number of different calibers and configurations. Anyway, I have been pleased with mine and the prices are right. 5-09-2012::Show No.46 - You Wanna Take A Tok?